Dr. Seuss is one of those writers whom we will never forget. From themes that touch children and adults alike to the unique drawings to his use of trisyllabic meter, the author’s work is already beloved by multiple generations and it will continue to be until the end of time. One element helping to ensure Seuss’ is never forgotten is the on-going film series based on his books. It began in 2008 with Jimmy Hayward and Steve Martino’s Horton Hears a Who! 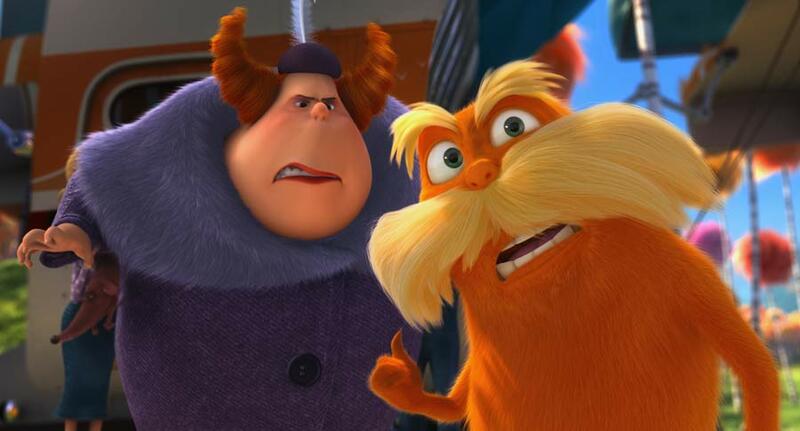 and on March 2nd it will continue with Dr. Seuss' The Lorax. A few months back a group of journalists, including myself, was granted the opportunity to visit Illumination Entertainment, the production company behind the upcoming adaptation. While there we not only had the opportunity to watch nearly 20 minutes of footage from The Lorax, but also speak with producer and company founder Christopher Meledandri. 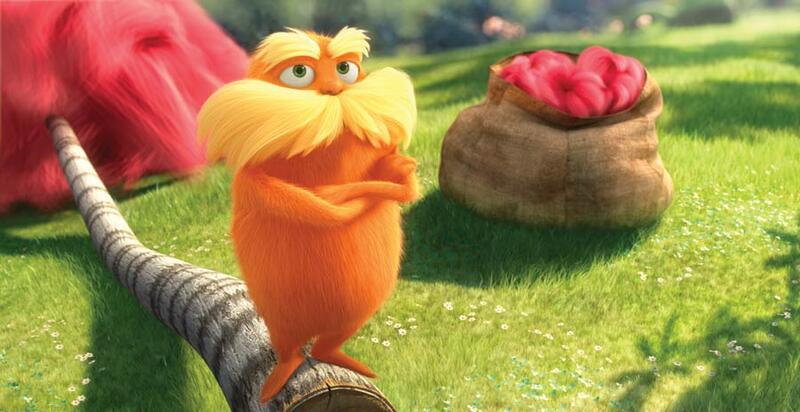 For those unfamiliar with the story, The Lorax begins with a young boy named Ted (voiced by Zac Efron) who lives in a city in which everything natural or organic has disappeared. Hoping to earn the affection of his neighbor, Audrey (Taylor Swift), who wants nothing more in the world to see a live tree, Ted goes on an adventure outside of the city to find one. 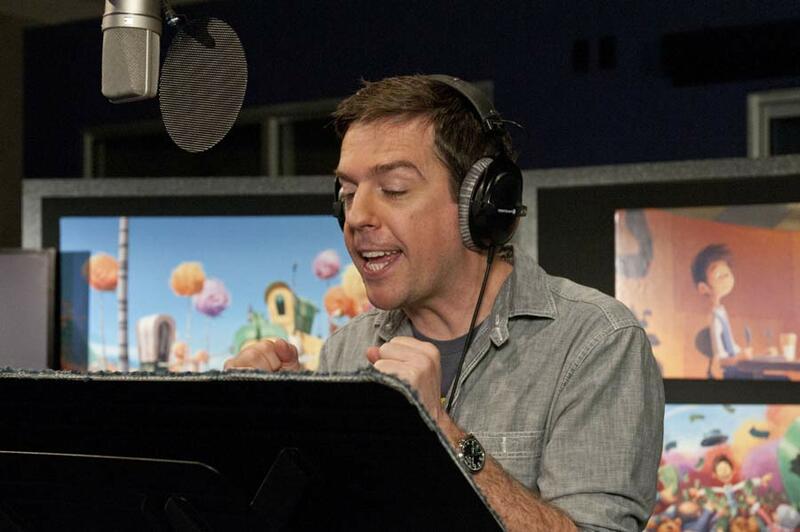 He learns that the one person who can tell him what happened to the natural world is a man called Once-ler (Ed Helms), who not only tells Ted his own story, but also about The Lorax (Danny DeVito), a creature who spoke for the trees. While I can’t give you a second-by-second breakdown of the footage that I saw, I can tell you about my initial impressions. 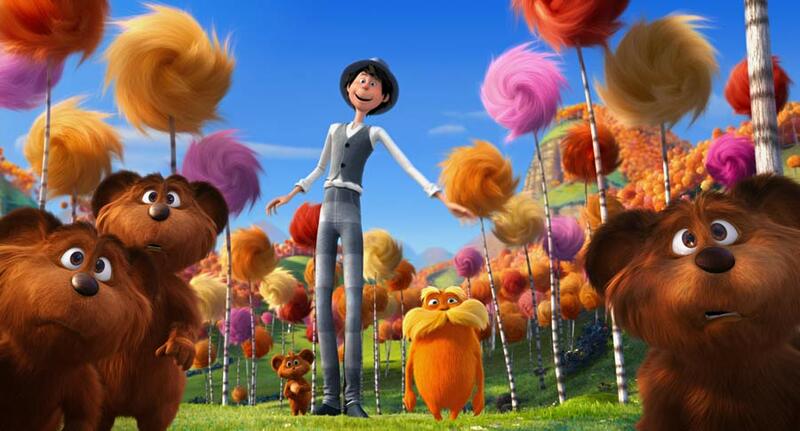 For starters, while the footage we saw was in 2D instead of 3D (which it was how it will be presented come March) and some of the animation was still unfinished, The Lorax looks quite beautiful and is perfectly in line with Dr. Seuss’ original artwork. Everything in the world, from the Truffula Trees to the Bar-ba-Loots are brilliantly detailed and textured, making the audience feel the desire to reach out and touch them (we’re talking maximum levels of fuzzy here). Seuss’ oddball designs are recreated with care, from the houses within the city limits where Ted lives to the Lurkem, Once-ler’s home. What really struck me about the footage, however, was just how funny it was. The young Once-ler and the Lorax have some terrific interactions, from waking up in the same bed (which the Lorax has invaded) to the little orange creature’s attempt to get rid of the human by floating him down a river. Obviously what I saw was only a sample from the overall film, but hopefully it will be a solid reflection of the whole. Following the footage, Meledandri was kind enough to sit down with us to discuss not only the footage that we saw, but also the film as a whole and the process that went into making it. 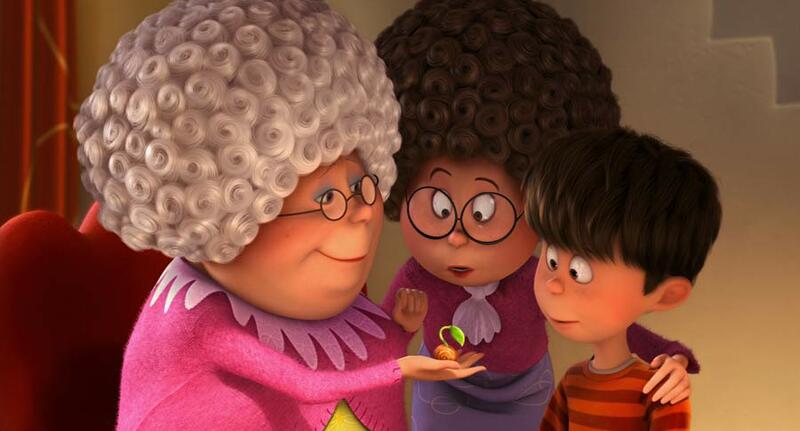 Read on below for our conversation with the producer about how 3D will affect the world of The Lorax, capturing the Seussian look, and the future of Dr. Seuss adaptations. Universal Pictures has also sent over 12 brand spanking new stills from the film, which you can see all of over in our Blend Film Database and in the gallery at the bottom of this article. In your opinion, should the movie be seen in 3D? How important is it to the experience of the film? 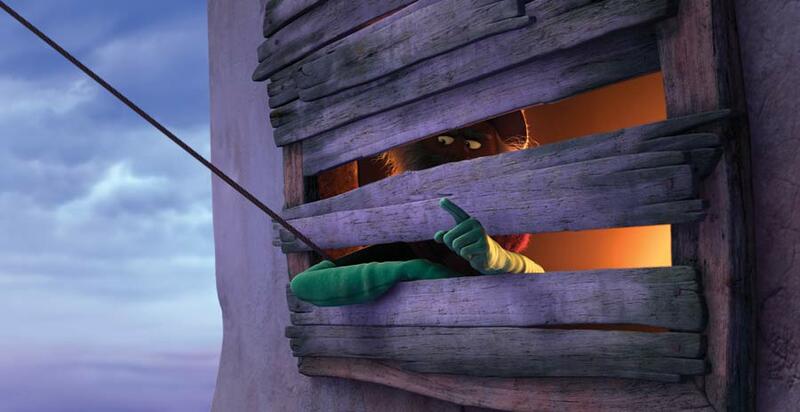 My general feeling about 3D and CG animation is that it is a way to express 3D animation because the films are already being made dimensionally. So there’s already, from the outset, a lot of thought that’s going into creating and the utilization of space. Now, when you introduce the 3D aspect into it, obviously the artistic process focuses more about how you can stretch the utilization of that space to create an experience that is immersive and how you can utilize the space to support the storytelling. There are, I’d say, the general feeling about how Chris Renaud and team used 3D here is that it tends not to be intrusive, but there are sequences where absolutely it’s used, the space is used to create a sense of isolation or a sense of exhilaration or hope, and so I think it’s perfectly appropriate that some audience members want to see it 2D and some want to see it 3D, but what we have found going from the first movie in 3D to now the second movie in 3D and watching how the artists own ability to mature in terms of how they’re thinking about that space through greater and greater parts of the process, from storyboard artists are thinking about it, vision effects artists are thinking about. Obviously layout has to think about it. So it is a very organic extension of this creative process. That’s not to say that some director may decide a movie should be more flat, that’s fine, but I’d say as the rule that the 3D expression of these films is something that feels quite appropriate to me and that additional focus is quite a dynamic one watching it happen within the process. When it comes to the 3D, are you capitalizing on both the depth as well as the elements coming out at the audience? Yeah, I think what you find is that directors tend to prefer to capitalize more on the depth and that they’re very cautious about what comes out of the screen. Rightfully so, they’re concerned about popping you out of the movie, doing something that feels like a gimmick, being intrusive. I look at, actually you guys saw one today, a sequence that is going to be quite dynamic in 3D. It’s also dynamic in 2D, which is that old axe, when he’s riding out to the Lurkem and he passes that axe hacker, which, by the way, is modeled almost exactly on the design of the book. But that old thing that had been abandoned by the road, when you see that in the big screen in 2D you feel the sensation of these blades coming at you, so it’s not like you don’t get that in a 2D version, but that’s a case where it’s a prominent experiential moment in a 2D version and in a 3D version you’re going to feel those blades coming at you. I feel those tend to be done more sparingly when you’re in a natural environment there are certain values to feeling, because that’s an idealized Seussian Truffula forest, you want to feel the contrast between that world and what it’s become. So that immersion in that world is of great value, but you’re going to get that in 2D as well. The idea of Seussian architecture in 3D is something that’s exciting and watching him go up and down things, he built those worlds like roller coasters anyway. Well, he did. You’re absolutely right. So it would always be interesting, if he were alive, to hear what he would say about things. But he was always fairly contemporary in his thinking. Beyond contemporary – he was always thinking beyond the present. The 5,000 Fingers of Dr. T. still plays modern, it feels very advanced. So my guess is that you would find him, also just as an artist he was interested – he sculpted. That was one of the things that we found when we started work was, well, how do you take his very simple flat line drawings into three dimensions and is this a good thing? Then you find that he made three dimensional pieces. Knowing how much time it takes to make CGI hair and fur, how much time did it take to make an individual tree, for example, let alone a forest. I don’t have a smart way of kind of translating that into man hours because what ends up happening is that it becomes extremely computing intensive, so there’s a fairly long period of R & D where you’re going through trial and error to get a certain effect. And that happens over the course of the visual development of the film, so that’s happening over many, many months. 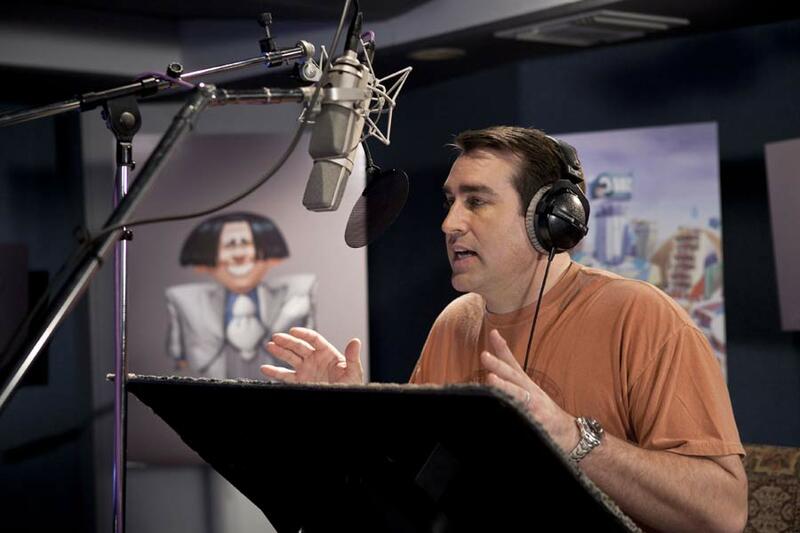 It’s one of the main projects which is you identify what’s a major project within this film that has to be…where you’re not just basically calling upon things that have been done for Despicable [Me] or things that have been done before, and the quality of those tufts is a visual, it’s visually specific to this. So there are a number of projects like that that become research and development projects, and then once they’re defined then what happens is that they become rendering intensive and take tremendous amount of rendering power. For example, we have continually been expanding the render farm through the course of creating Despicable and then this film demanded an increase of, I think, at least a half again as much more. Vegetation in general is very render intensive and when you get to something like that it’s even more so. I have the impression, and I could be very wrong, that the development timeline for your films is less than some other animation studios. Well, certainly on Despicable it was. We were start to finish on Despicable from inception to completion of the film just a little over three years. That was lightning fast. And that was including the writing of the script. We got a head start here on the writing on the script because the screenwriting was going on while Despicable Me was being made. Once we get into production timeframes as oppose to development time frames we’re a little bit shorter, but not significantly. We’re still roughly making the movie in a production timeline of about 18 months. Pre-production being all the boarding prior to that, about nine months prior to that, and we condensed that on Despicable. But we make the films, we’re basically using the same model as we used for Despicable, which allows us to achieve what I think is exceptional visual quality for a price that I think that is extremely smart way to be making movies today so that every movie is not dependent on everybody in the universe coming to see it in order for you to be able to continue to make more movies, which I think the goal is – is that you can sustain this process and bring these people together to make movies. You’ve done Horton Hears A Who, you’re doing this, you’re talking about the biopic, is this going to be an ongoing relationship, something that you’re cultivating? Are there other stories that you have your eye on already? There are other things that Audrey [Geisel, Dr. Seuss’ widow] and I are talking about and the combination of my feelings about his legacy and her comfort level, having now been working together for eight years, it just makes sense for both sides to continue to do this and there’s an opportunity to…with any great artist from the 20th century whose work lends itself to this medium, or film medium in any way, there’s an opportunity and a responsibility to secure that legacy for future generations. And if you’re not actively working on it, a lot of other things come into the global consciousness and things can get lost. I think that that’s an objective of ours, to make sure that we do what we can do to make him extremely relevant for future generations because he was talking about things that were absolutely timeless. There’s a really timely message to this film in terms of what you’re about to release to very young thinkers. 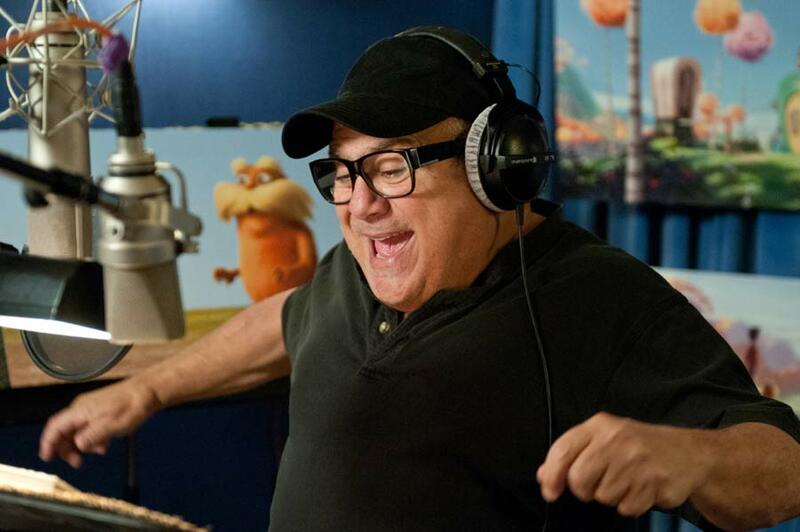 Can you talk a bit about the casting of Danny DeVito and the importance of finding the right casting for a character like The Lorax? Well, think DeVito was a particularly good example of fairly specific qualities that he’s bringing to the character. 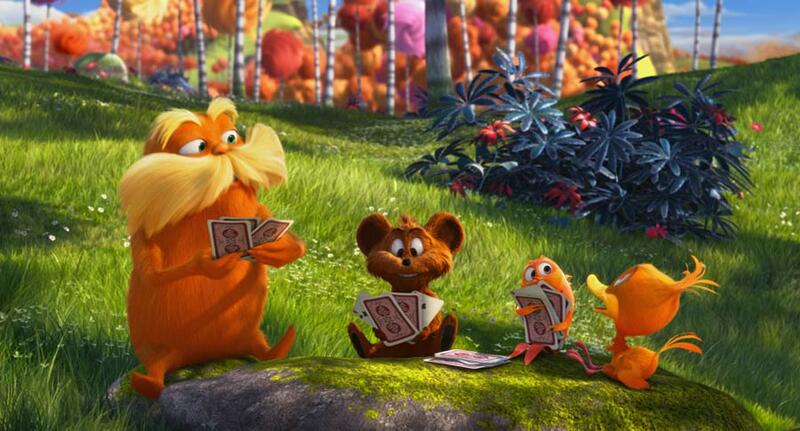 The Lorax, as conceived and as described, is mossy and bossy. He’s got an edge to him and so when we were thinking about actors to voice the character we were thinking about actors who had the ability to be crusty and be a little irascible, but still find the place of emotional access. And also can put a sense of comedic kind of quality to that. And so I think that the first name that we talked about was deceased, who was Walter Matthau. It’s that kind of embodiment of that kind of grouchy guy who you’re still charmed by. Then we realized Danny, and Danny has that. He has that quality. 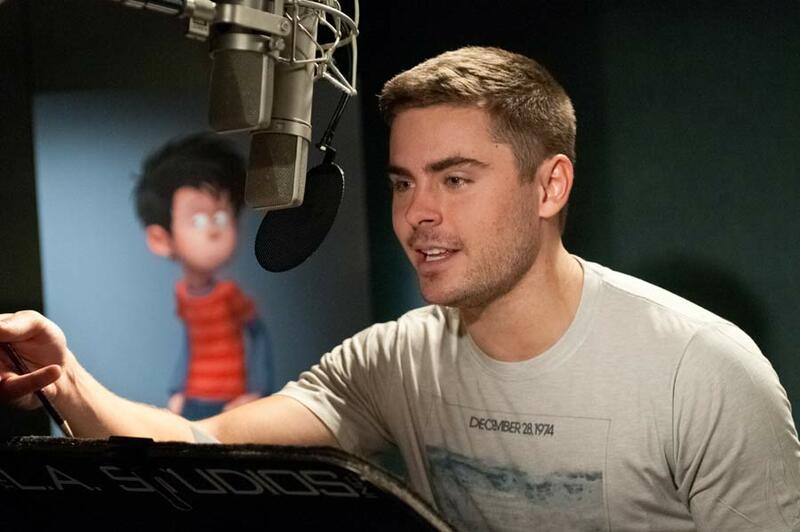 Some of the other casting is…to cast Zac [Efron], it’s funny when you start casting, when you set out to cast kids, there’s a real challenge at that age. First of all, their voices are at risk of changing overnight, which can be a production problem. And then a lot of kids today, at that age group, are trained to be TV actors. So you listen to hundreds of kids and they all kind of sound the same. They’re all pitched at the same place because that’s where the jobs are. So Chris Renaud was very interested in thinking older to get just some more substance in the voice, some more acting in the voice. And Zac Efron has this boyish quality to him, and it came through, it’s not only who he is – he’s very boyish as a person and it comes through in his voice. So with each one there’s a lot of discovery that happens. There’s a lot of reason why you are drawn to them and then there’s a lot of discovery along the way. 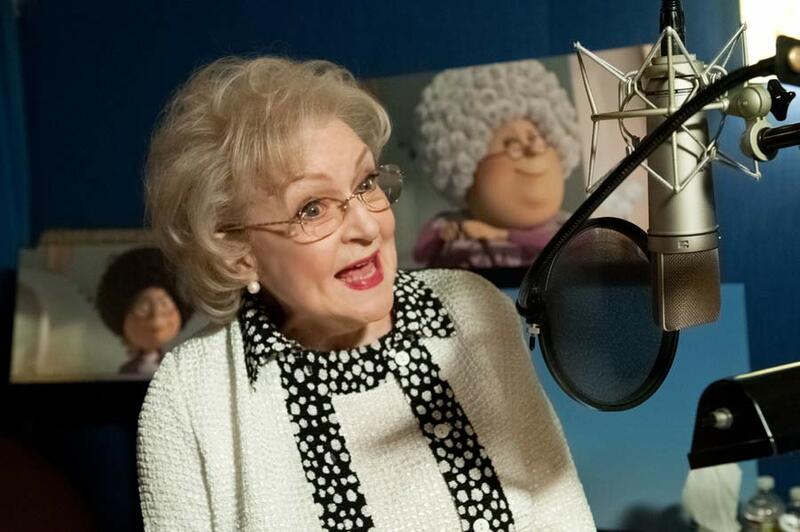 Betty White is…this phenomenon with Betty White is so wonderfully amazing, it’s like in a world where ageism runs rampant, out of left field suddenly the country decides to celebrate Betty White and she becomes cool at 90. It’s kind of remarkable and so just to have the movie be a beneficiary of her energy and her and that performance it brings a lot in a role that becomes, ultimately, very substantial role in the film and is Audrey Geisel’s favorite actress right now. She loves Betty White. You talked about the visual style of Dr. Seuss’ books, but he also had a unique voice in his writing, and we did hear a few rhyming couplets in the footage, but is that something that’s consistent throughout the entire film? It is not. It is sporadic in the film but the dialogue is not in rhyme, but there are moments where the rhyme just feels like it’s called for, it emerges. So it’s present, but it’s not consistently throughout the dialogue. So it’s like a spice.